The Design Of This Game Is Awesome. 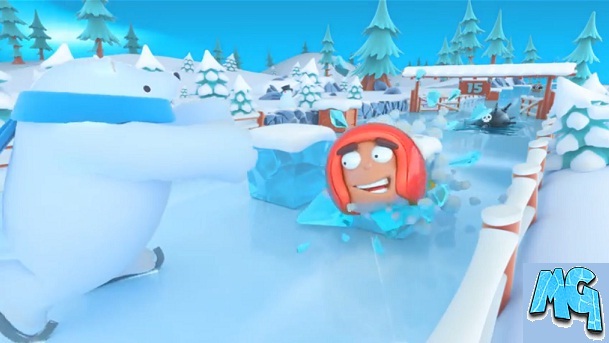 In This Game, You Play As A Treasure-Hunter Head That Skate On The Frozen Rivers Of Sweden. You Have To Collect Coins, Overcome Obstacles To Clear Levels. Upgrade Or Buy New Helmets To Protect Your Noggin. Break Ice Cubes To Collect Gold. There Is A Polar Bear That Will Try To Stop You, You Have To Avoid It And Glide As Much As You Can. Update – Developer Of Pukk Has Been Released The Pukk On Android. Size Of The Game Is Around 70 MB. Price – Free[Contain Ads, In-App Purchas]. Download – Here[Google Play Store]. -Save Your Level Progress Without Ads, Save All Your Styles, And Get A Royal Crown. Pukk Is Now Available On iOS But Android Version Of Pukk Seems To Be Delayed And May Release On 7th December. However, Date Yet Not Declared. Stay Tuned With Us To Get Update.